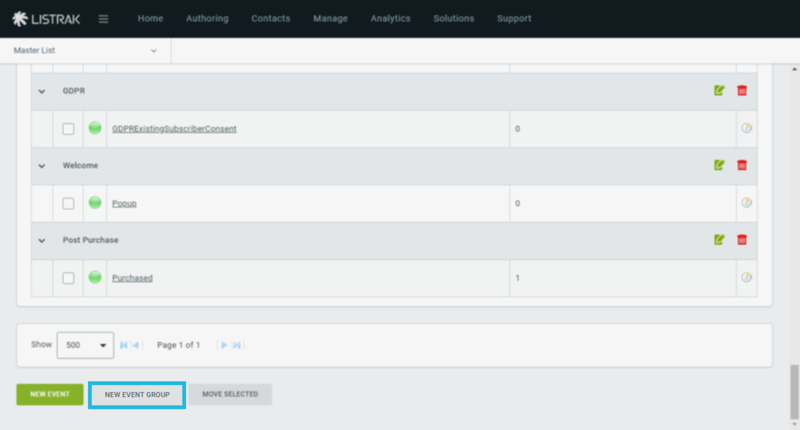 Learn how to set up external events for your Welcome Series. 4. Make sure that you don't have any Welcome Series events set up yet. If not, click New Event Group. 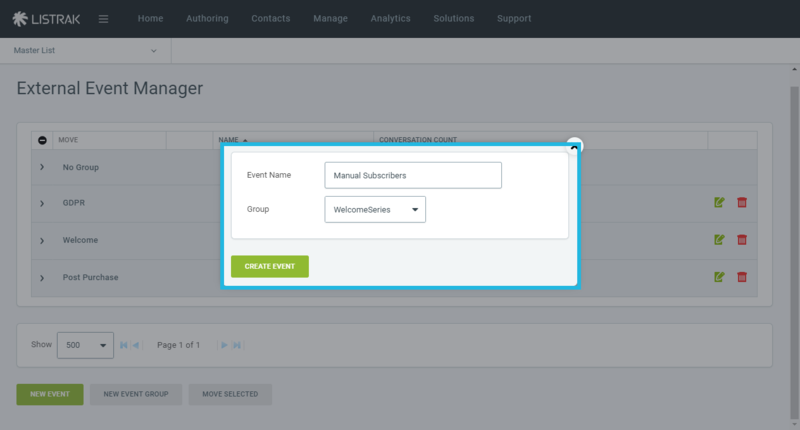 NOTE: It is always good to add a New Event Group to categorize your external events for ease of use later. 5. Give your New Event Group a meaningful name. For this example, ours is called Welcome Series. 7. After your new event group has been created click New Event. 8. Give your new event a meaningful name. For this example, ours is Manual Subscribes. NOTE: Typically you want to name your new Welcome Series event based on the point of subscription, whether it is via a footer signup, manual subscriptions, or via text message. 9. 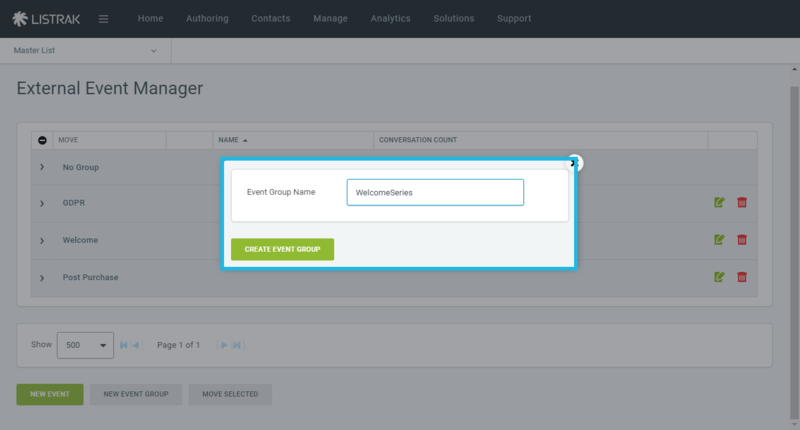 From the Group drop-down menu select the new event group we just created of Welcome Series. 11. 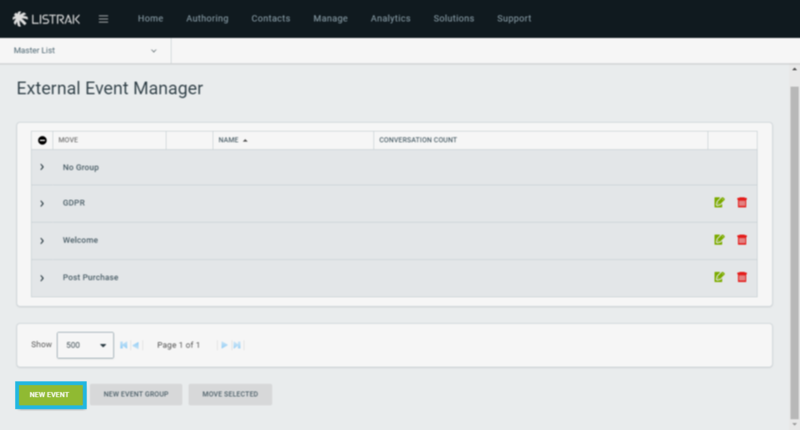 You will see your new external event set up under the External Event Manager and categorized as Welcome Series.